The research is incredibly clear that companies in any in any industry can benefit from blogging. However, blogging actively is actually what's most important. HubSpot has found that companies who blog on a regular basis appreciate a host of benefits, including better lead generation and sales. Or, you know, better marketing results. If you're trying to sell the idea of blogging to your boss, we've curated some of the latest research on the ROI and non-ROI-driven benefits of blogging. Join us as we count down 25 major ways your company can benefit from publishing consistently. Regardless of whether you're a major fan or skeptic of business blogging, there's no escaping one little fact. Blogging consistently is a serious time commitment for organizations. Despite the fact that 90% of modern marketers are creating custom content, you may be having difficulty selling the idea of an active business blog to your boss. Perhaps your team is struggling to publish consistently due to time constraints. Or maybe you're fighting against your manager's belief that blogging is too saturated, or only beneficial in certain industries. 46% of modern consumers read blogs daily. Publishing regular updates to your blog can drive serious traffic from search engines, email subscription lists, social media, and other sources. Provided your company's content marketing strategy is aligned with your buyer personas, blogging can even be a tool for driving higher-quality web traffic. By publishing articles that align with your ideal customer's needs, you can attract more of the right clicks. In the B2B space, businesses that blog receive about 67% more leads than non-bloggers. However, the lead generation benefits extend to B2C and B2G brands, too. Blogging is a powerful tool for building up an online database of answers to your customer's questions. By positioning your brand as an objective, helpful resource, you earn trust with prospects. This can allow you to crush your lead generation metrics. Companies that blog on a regular basis have 434% more indexed pages and 97% more links than their non-blogging peers. Modern search engine algorithms are complex and take hundreds of factors into account. However, blogging can elicit social media shares, page views, and links, all of which can improve your site's ranking in search. Each time your organization publishes a blog, it sends a message to Google, Bing, Yahoo, and other search engines that your site is active. By answering your prospect and customer's frequently asked questions, you're able to optimize your ranking for important industry terms. Marketers who prioritize blogging have 13 times better ROI from their inbound campaigns, thanks to better customer acquisition. Why? Research indicates that around 96% of first-time visitors to your company's website aren't ready to make a purchase. Blogging is an effective tool for prospect education and remaining top-of-mind throughout the buyer's journey. Blogging allows you to position your company at the forefront of your industry. In fact, if you had to pick a single form of content marketing for building thought leadership, it would be hard to define a better delivery method. Publishing on a consistent basis allows you to gain the audience, recognition, and reputation necessary to be considered a leading expert. Thin, short, poorly-written blog posts won't help you towards your goal of thought leadership. To achieve this, you'll need to publish in-depth, original topics on a regular basis. By commenting on industry trends and delivering original thought, you can elevate your company to a position as a trusted resource. Blogging can yield immediate gains in website traffic, lead generation, and sales. However, the benefits of content marketing aren't always so immediate. Publishing a blog can generate brand awareness, which Brafton reports is a top priority for most marketers. Even if prospects are months or years from being ready to buy, exposure to your blog content can create awareness for when they are ready to make a purchase. If your organization doesn't publish consistently, your efforts to build an online community are likely to be ineffective. Publish on a regular basis, and use your blog to ask important questions and prompt discussions. Positioning your company as a premier source for industry discussions can improve your prestige, market placement, and visibility. An active blog is "proof" of your expertise and industry positioning. With a strong track record of creating high-quality, cutting-edge content, your brand can gain opportunities for free exposure through public relations and other forms of traditional media. By using the Help a Reporter Out (HARO) list serve, organizations with a strong online presence can be chosen as featured experts in news stories. Content Marketing Institute research reports that offline events are still among the most effective marketing tools. For many brands, a blog is an important tool for gaining the exposure necessary to earn invitations to participate in conferences, expert panels, and more. Once you begin blogging consistently, your speaking opportunities or chances of being chosen as an expert resource by journalists will significantly increase. Every click-through, social media share, and page view on your website leaves a trail of data. Reviewing your blogging metrics will provide your marketing team with a new understanding of your buyer persona's pain points and priorities. Your best-performing blogs aren't just a triumph. They contain important clues about what matters to your current and future customers. Your blog allows you to develop and strengthen relationships with other bloggers. Encourage an active community on your website, and make an effort to engage with other brand's content. These peer relationships can lend important professional and co-branding opportunities, such as guest blogging. By publishing content that's valuable to your prospects and existing customers, you are providing an important service to your clients. Ongoing education efforts can strengthen connections with your existing buyers by adding value to your relationship. Your blog can also act as a platform for showcasing your current clients, through case studies and success stories. Once your organization has built up a solid base of blog articles, your analytics will reveal valuable insights into your buyer's journey. With the help of a sophisticated marketing tool like HubSpot, you can analyze closed-loop analytics of your closed customer's journeys. This provides insights into the blogs your new customers engaged with during the awareness, consideration, and decision stages of their product research. Nielsen's annual consumer trust index reports that blogs are the fifth most-trusted form of digital content. Consumers still trust their friends and family's recommendations most, but view business blogs as an important source of information. By avoiding a sales-driven approach to blogging, you can improve your blog's trustworthiness. Position your brand as a resource for objective insights and high-quality educational resources. Employees who publish on your business blog are gaining a significant opportunity to build their personal brand. Blog publications can lead to speaking opportunities and recognition as a subject matter expert. By publishing contributions from multiple experts within your organization, you'll be able to offer a variety of perspectives and expertise to your readers. You'll also take some weight away from your marketing team's weekly workload. Email addresses tend to "expire" at a rate of 25% each year. As individuals switch jobs or abandon email accounts, your contact list will predictably shrink on a monthly basis. If you're not actively building your contacts database, you're losing reach. Blogging is among the best tools for earning more leads, through blog subscriber forms and other lead generation offers. By creating content on a consistent basis, you can work to expand your company's reach through email. Consistent blogging is a tool for online reputation management. By creating content on a regular basis, your organization can maintain control over many of the first and second-page search results for your company's name on Google, Bing, and other search engines. As your organization continues to blog, your content will gain visibility for your brand. High-quality, original articles will earn citations, social media shares, and links. It takes persistence, consistency, and a commitment to quality to obtain visibility. HubSpot's visibility in the marketing software space is largely attributable to their blogging efforts, which are far more active than their competitors. Similarly, IBM has built a positive reputation in the big data space through IBM Big Data Hub, one of the most well-known and highest-quality publications on analytics. If you're just getting started with content marketing or inbound, blogging can be the perfect jump-off point. 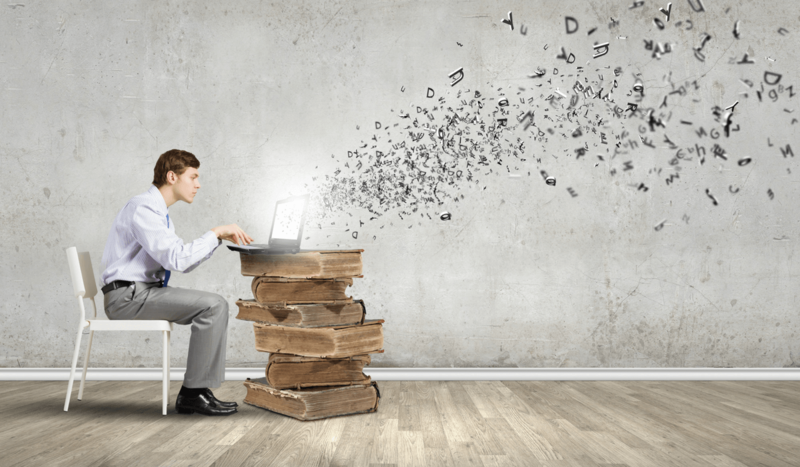 Blogs can be simply repurposed into eBooks, email workflows, online courses, and much more. As your company's content marketing strategy expands, you can begin promoting your whitepapers, case studies, and other offers on your blog. Ideally, your brand has a unique value proposition (UVP), a statement about how you're different from your competition. Every company needs a UVP, regardless of whether they're competing in a saturated or wide-open market segment. Perhaps your company offers better service, more value, or unique products that no one else does. Blogging provides your company with a platform for communicating your UVP. Even if your competitors are already creating content, you can add unique value to your space by creating content that aligns with your UVP. If your company provides the most detail-oriented approach to event management, use your blog to spread the word about why details matter when it comes to events. Blogging regularly allows you to associate human faces and personalities with your business brand. HubSpot's Danielle Irigoyen writes that "humanizing your brand...[is] a necessity." People buy from brands they like. By putting a human face on your company, you can strengthen relationships with prospects and customers. Publishing blogs under your employees' names and adding author pictures is the perfect way to start. Releasing employee spotlights, "behind-the-scenes" videos, and interviews are more ways to showcase the people who make your brand possible. Blogging on a regular basis sends a clear, positive message about your company. It shows that you're actively engaged, and committed. When prospective customers check your website, you can be sure that a blog that hasn't been updated in 3-4 months will cause some questions to arise. Blogging is the perfect platform to display other forms of social proof of your brand's quality and customer service. Publish customer success stories, work to build a vibrant community, and create content that earns social shares. Optimally, your organization will never experience a public relations crisis. However, the digital age has ushered in unprecedented transparency. Forbes' Ekaterina Walter recommends having a PR crisis plan in place, even if it's unlikely you'll ever be in the center of a public image disaster. If your company is ever subject to public criticism and scrutiny, having an active blog will be an asset. Coupled with your social media channels, your organization will have all the necessary platform for releasing public statements or apologies. Organizations who blog regularly gain the benefit of a test audience for new ideas. Your customers, subscribers, and readers can provide invaluable feedback on new ideas and product development concepts. By proposing questions and themes to your audience, you can gain low-cost insight into how your customers could react to a new product or service line. Most marketing teams are evaluated in hard, or "direct response" results, like lead generation and sales. While research is quite clear that blogging can lead to significant improvements in these key performance indicators, the benefits of blogging don't come close to stopping there. 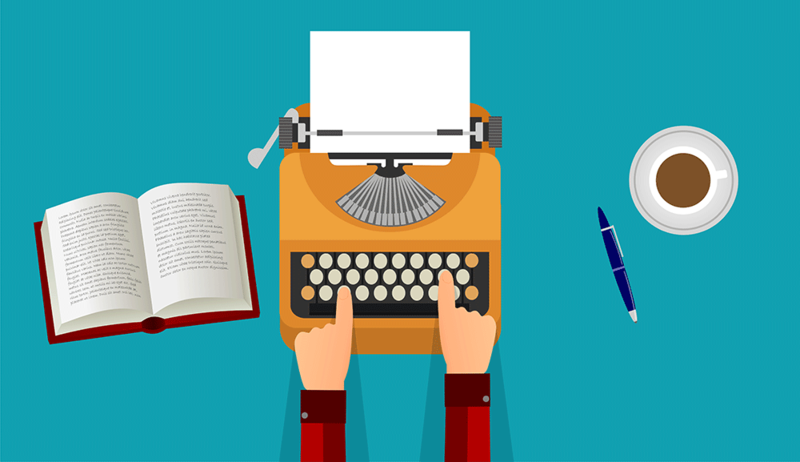 From better PR to thought leadership, publishing consistently can yield many returns. It is truly astounding how much content is being published and consumed on a daily basis. There’s arguably no better way to attract the clients that businesses want than with online content, and media tech development continues to make publishing easier and cheaper, so the trend makes a lot of sense. It can be a bit daunting, though, for companies that aren’t yet in the flow of churning out highly engaging pages. On the one hand, there is no shortage of topics. By using the right techniques and talking things out with the appropriate stakeholders, you should be able to come up with virtually endless ideas for articles that will resonate with the people with whom you want to do business. On the other hand, because you can only devote so many resources towards developing content, it can be quite difficult to determine where specifically to devote your efforts. Detailed drill-downs into the specifications of your product line? Snackable lists of useful tips? Stories about the evolution of your brand? Comprehensive “state of the industry” ebooks? Opinionated, impassioned thought leadership essays with colorful commentary that differentiates you? All of the above? Perhaps the best way to focus yourself is to consider the size, quality, and onsite behavioral patterns your audience, and the purpose your content will serve for them. By mapping out a long-term plan of shifting emphases for content, you’ll be able to optimize your inbound marketing program to continuously bring in new, relevant audience members while you flesh out your site for a richer, more immersive content experience in tandem. Remember that inbound marketing is a long-term game. Do your best to make sure that the need for short-term revenues doesn’t pull you of course with your strategy. Here’s a framework for determining your publishing emphases over time. If you’re just getting started, you’d probably do best to heavily emphasize timeless content that can establish a baseline audience of regular search traffic. Once you’ve built a steady audience, you’ll want to focus on content that can effectively capture leads by being so attractive to your ideal prospects that in exchange for accessing it, they’ll gladly give you permission to follow up with them via email. When the leads start coming in, it’s best to experiment with a mix of content types and formats – some of it should be optimized to nurture leads while some of it should be aimed at building trust and authority. Finally, once your inbound marketing is firing on all cylinders, we recommend iterating and fleshing out the lead nurturing content that you find performs the best, so you can perfect your automation efforts. Each purpose has formats that serve it best too. Each phase of this framework has its own tactics for content ideation, its own on-site behavioral benchmarks for assessing performance and its own content formats. Let’s drill down into further detail. At the very beginning of your publishing for inbound marketing purposes, you’re likely to see fewer than 1,000 monthly unique visitors via organic search traffic. Until you have a steady audience, therefore, you will want to focus at least as much on the SEO value of your articles as you do on the content itself. Speak with various team members to generate a list of all the questions your customers ask when looking into your company and products. Next, use some basic keyword research tools to identify the search terms that are most commonly used when hunting for this type of information online. Now you’ve got a list of queries to address with informational articles (based on the typical questions) and a list of phrases to favor in your titles and talking points (based on your keyword research). It’s also a good idea to fill in any obvious gaps that you notice in the list – comparing the pros and cons of various solutions, discussions of costs vs. value, how to deal with various contingencies relating to product use cases and the like. Then just split the list up into viable monthly batches, and you’re ready to start blasting your way through it. Once you have an audience of 1,000 to 5,000 visitors referred by organic search, take a look at the volume and quality of the leads being captured on your website. If you aren’t generating relevant leads in volume commensurate to your traffic, then it’s time to focus on publishing more content that performs better for lead capture. Use your knowledge of customer questions (say, via customer service or their email contact with you) to create content that directly responds to what they’ve indicated are their primary obstacles to closing. If price is a significant factor for those deliberating options, create a premium offer that explicitly discusses cost in a way that will be more appealing to visitors and more attractive to leads. Consider including a buying guide on your site. Finally, make sure the information is accessible on your website – promote your landing page-gated content both there, and on social media. The next stage in your inbound maturation is especially significant from a business perspective. This one starts once you’re attracting 5,000 to 10,000 monthly unique visitors from organic traffic and a volume of leads that you feel is sufficient to justify less emphasis on lead capture content. Granted, if you are a B2C company, you may still want to increase traffic to your site, but if you are a B2B, you are ready to shift into thought leadership. It is time to think about how to build your leads’ trust and nurture them through their consideration processes (the middle of the funnel, or “MoFu”). Here we’re mostly talking about articles that provide in-depth analyzes and contrarian views that help to differentiate you from the crowd. When it comes to thought leadership, the idea is to engage your audience and provide them with something meatier than straight-up informational content. Consider including blog posts on the value proposition of your product and how it effectively addresses your audience’s pain points. Behavior-triggered email automation should ideally accompany your customers along on their buying journey too. Every situation is different, of course, but in general, once your site starts seeing over 10,000 organic, unique visitors per month, you’re probably ready to focus almost exclusively on content that helps to nurture your leads. Your content program is now mature enough to encompass both “MoFu” and “BoFu” (bottom of the funnel). Remember, ideas can spring from anywhere—just not always at the moments that you need them. Open your ears and eyes and take note! Inspiration and new ideas are floating all around you. Go social and look for trends. Check out hot and trendy industries outside your own and look for overlap... and that's just scratching the surface... Take a look at 5 easy ways to find inspired content ideas. Content creators are often one to two steps removed from product development and customer relationships. Schedule a meeting with these teams and delve into what's been going on in their departments. Call center staff may have a new question they are hearing from prospects. And that question is more than likely a great content idea. In product development, what is on the horizon? Interviewing staff members throughout the company give content creators the ability to catch trending topics at their genesis. A good old fashioned bran storming session will help unearth plenty of great ideas but be sure to follow these best practices. Ask the right questions – Make sure the participants understand what is being asked of them. Each each question should be framed within the customer persona. Participants may not be as comfortable with Inbound Marketing. The goal is to offer solutions to the customer pain points, not address the problems of the next product launch. Have an Agenda & Moderator– Avoid long rambling discussions, personal soap box soliloquies and everyone talking over each other by creating and distributing an agenda with time limits. This helps keep everyone to the task at hand. Nominate an independent moderator that can enforce the agenda and keep participants on task. There is no such thing as a bad idea! Sometimes the best idea comes from an off the wall comment. Don’t cross any idea off the list without due consideration. Use an icebreaker – We’ve all been in cringeworthy meetings. If the group is unknown to one another, try a fun introductory ice breaking exercise. Take Notes – Your independent moderator should take notes or employ a third party tool to keep track of all the ideas. No doubt you are an expert on your business. Use you own knowledge but employ the “Thinking Hats” method to generate ideas you didn’t recognize. By applying these different thinking hats, new ideas will begin to multiply. Red Hat – Feelings and instinct – What is your gut telling you about the topic? Green Hat – Try to come up with an alternative. If not this, than what? Engage your creative side. Not only do these hats line up logically with popular inbound blog layouts (Step by Step, List, Disputing Accepted Wisdom), they are great for idea creation. Customers are out there searching and every day your business is providing the answers. Compile a list of commonly solved problems and FAQ’s. Content topics abound in the form of the answers. Ever heard of the 5 W’s and 1 H? Ask these questions in regards to the solutions your business provides and let the idea creation begin. Maybe not the actual outdoors. We mean, get outside your own company! Most of the ideas above have been internally sourced; now it’s time to head outside. Watch for trends in by joining groups on social media. There is a Facebook page for every possible club, interest, hobby and problem. Search for pages that align with your customer personas and peruse them for ideas. Watch Pinterest and Instagram. These image based sites are becoming more and more popular and you’ll find emerging trends here. After all, a picture is worth a thousand words. Make sure to keep abreast of the issues that matter to your audience, so you can chime in on the conversation that is already taking place. Start a calendar and include the items listed below. Each will provide a multitude of content topics. Now that you’ve generated all these great ideas, how do you keep track of them? It is critical to come up with an idea tracking mechanism so that you can access your well of ideas whenever necessary. Here’s some possibilities. Keep a file – There is absolutely nothing wrong with an old school file. Collect notes, print articles, ads and more in a big old file folder. Keep a file of potential ideas so that when it comes time to draw from your well spring, you won't ever run dry. Use your Blog Tool – Why not keep everything in one central location? Go ahead an start as many draft blogs as you need; even a sentence or two that describes your idea. Come back to it when you have time or the inspiration strikes. Generate Subject Lines - Sometimes a great subject line is all you need. Keep an index of compelling subject lines. Evernote and other 3rd party tool – Open your list up to the masses and use a team based tool that everyone can collaborate on. This quote hits the mark. Content creation is all about fresh ideas and finding inspiration. Of course, that doesn’t mean it is without some work and preparation. Apply the methods and tools described above and let the new ideas abound. When it comes to knowing what type of content to create, publish and promote at what stage of your company’s inbound marketing maturity, many are tempted to skip straight to phase four. However, without sufficient organic traffic, your content won’t be capturing many leads. Too much thought leadership too early, for example, can keep you from advancing to the point where thought leadership would be useful. By advancing methodically along the trajectory outlined here, your inbound marketing efforts will only be performing at full strength after about two years of activity. That’s the bad news. The good news is that in all likelihood, you will emerge at the other end of this process having achieved full-strength content performance – and as quickly as reasonably possible. By putting in the time, you’ll give your website its best possible chance to attract a massive audience, capture a solid volume of relevant leads, nurture them to closing and even convert them to become brand promoters.